When it comes to choosing the right cabinets for your kitchen, where do you start? If you’re like most Minnesota homeowners, you will likely head into your local big box store, such as Home Depot, Lowe’s or Menards. You’ll speak to their kitchen experts and ask for a quote. But what does that quote entail? What happens when you try to personalize your cabinet choices? You cannot alter any of the pieces to better fit your space. You get cabinets made of lower-quality materials. You likely have to build and install the cabinets yourself. 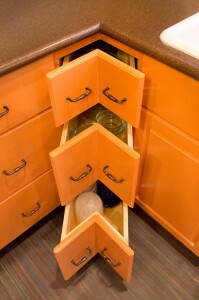 If these drawbacks aren’t for you, you could consider the next step up in the cabinet world: semi-custom cabinets. Upgrading size. If you want your cabinets to reach the ceiling or if you have a unique space to fit, a change in size will cost you dearly. Upgrading wood type. 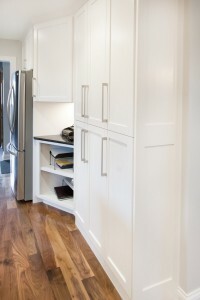 Semi-custom cabinets come with specific materials and stains. So if you’re looking for a more refined finish, you’ll see your base price jump substantially. Upgrading finishes. Perhaps you want crown molding or a decorative overlay on your cabinet doors. Or you might want to upgrade the hardware to match a particular style you are seeking. Whenever you start adding in personal touches, you also start adding significant costs to your final bill. The truth is that once you start customizing any stock cabinet from a box store, you’ll find your estimate skyrocketing. This is true if you try to choose a different finish, or ask for a different face on the cabinets, or even ask for ornamental upgrades. In the end, you just cannot trust the sticker price on those box cabinets. Not knowing where your final number will fall is an unnecessary stressor. If you’re looking for new cabinets to add to your kitchen remodel, start with a company who can customize the cabinetry to fit you, your style and your space. 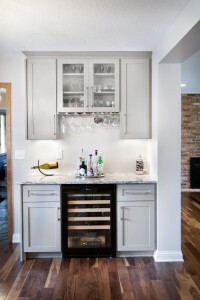 You’ll have a number up front that you can rely on, and you’ll gain access to numerous benefits that only come with custom cabinets, including your preferred style, size, color and layout. Yes, your wait time may be a bit longer, but the wait is worth it. To learn more about the benefits of choosing custom cabinets over box cabinets from Home Depot, Lowe’s or Menards, call our team here at Artisan Cabinet Company. 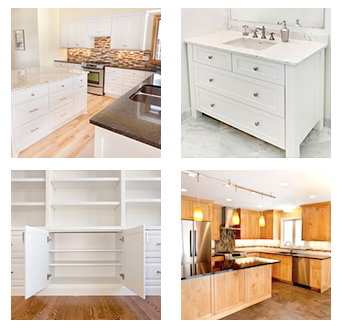 You can reach us at 952-737-7088 or contact our custom cabinet makers online.